2016... what a year for good and for bad. It took my family from the Republic of Ireland to Arizona USA. I also upgraded my camera from a Canon SX50 to a 7Dmkii with 300mm f/4 and 1.4x TC. That also brought my photography game up a notch or two. Honestly, I'm not super happy with that lens and will try and upgrade in 2017, I just need to stop buying so much Lego. I wanted to make a best of 2016 post to share what I think are my highlights. I ticked 81 lifers in the past year, and in the process hit 400 ABA birds and 600 world birds. But there's no way to show all of those. Instead, I'll try and find the dozen or so ones that were special to me. Early in the year I made a trip to California and got to meet my friend Brent at Bolsa Chica Wetlands in Orange County. 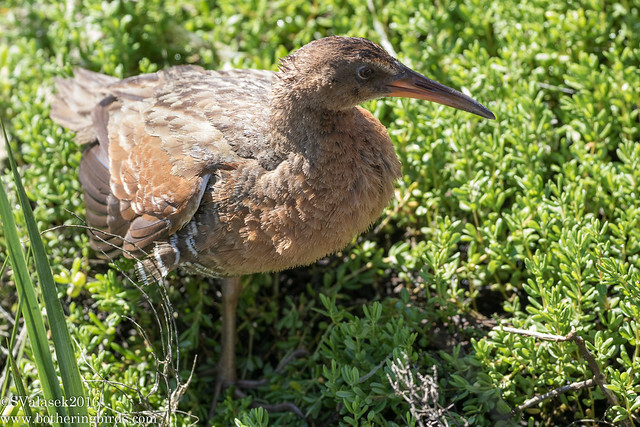 We got to watch a pair of threatened Ridgeways Rails below the boardwalk we were standing on. 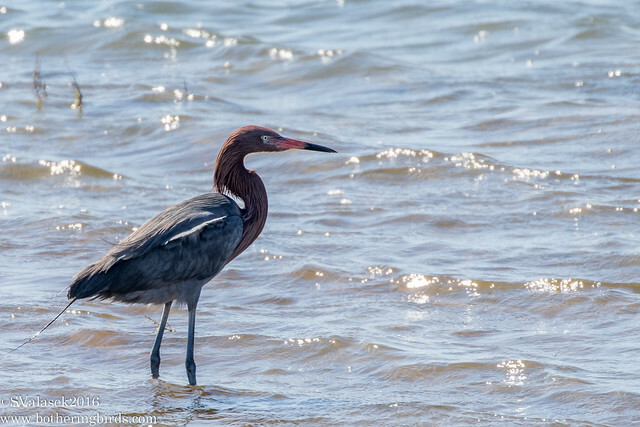 And we got to watch a Reddish Egret dancing over the water. Back in Arizona I got to see many Hummingbirds throughout the year. We have Anna's in our back garden all year round, but further south in the state you can find some spectacular ones. 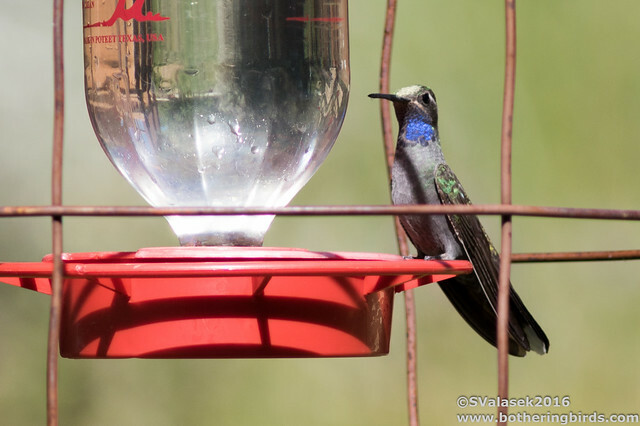 My favorite may have to be the Blue-Throated Hummingbirds that I saw near Portal in June. 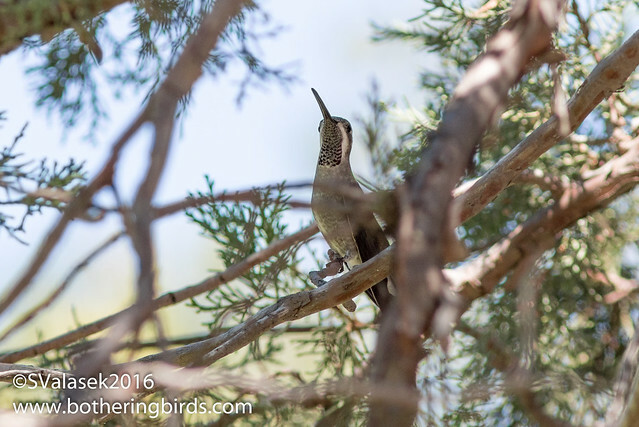 The rarest Hummingbird that I got to see was a Plain-Capped Starthroat in Madera Canyon. It was making daily visits and I just happened to be there at the right time with the family. 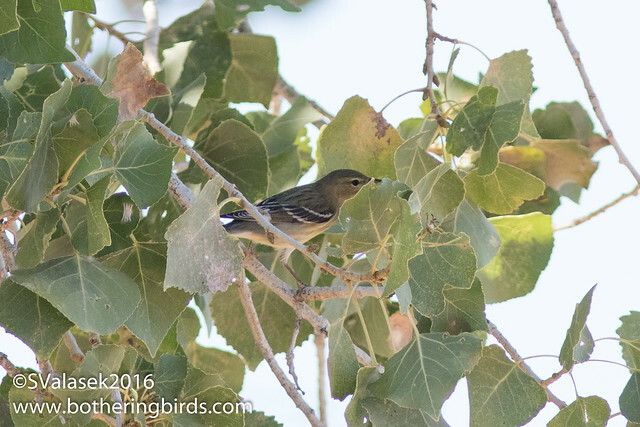 Arizona is home to an amazing variety of Flycatchers, a family of birds that I'm still trying to learn about. 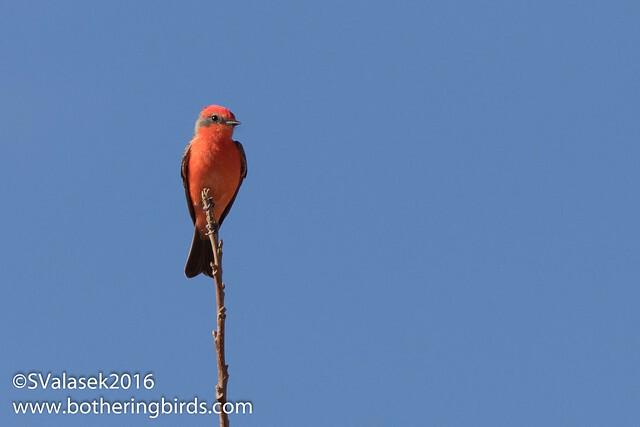 We have probably the best looking trash-bird anywhere, the Vermilion Flycatcher. They are seen everywhere south of Phoenix and at Patagonia State Park they are every other bird that you see. A less common Flycatcher that I got to see in the Santa Ritas were Sulphur-Bellied Flycatchers, which break the normal appearance of a small, thin-billed bird. But we also get some down-right rare ones too. 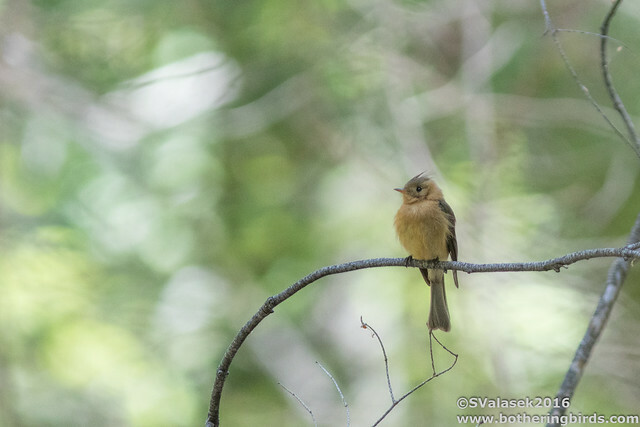 I hiked up into Ramsey Canyon in June to see some nesting Tufted Flycatchers in Ramsey Canyon. This is their only nesting location in the USA. I got to see just the one of them while the other was presumably sitting on eggs. 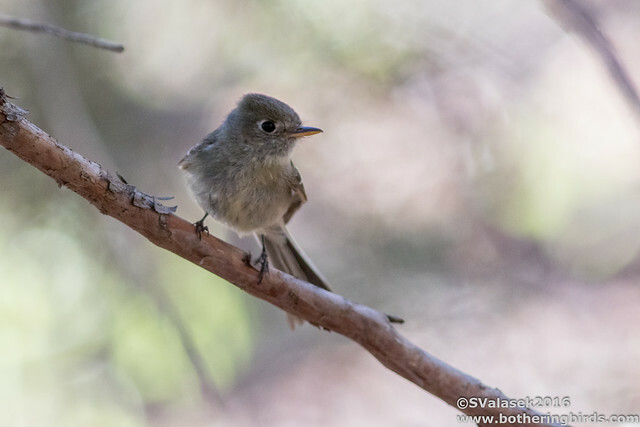 But as awesome as it was to see the Tufted Flycatcher, the following week a Pine Flycatcher was reported nearby in the northern Santa Ritas. 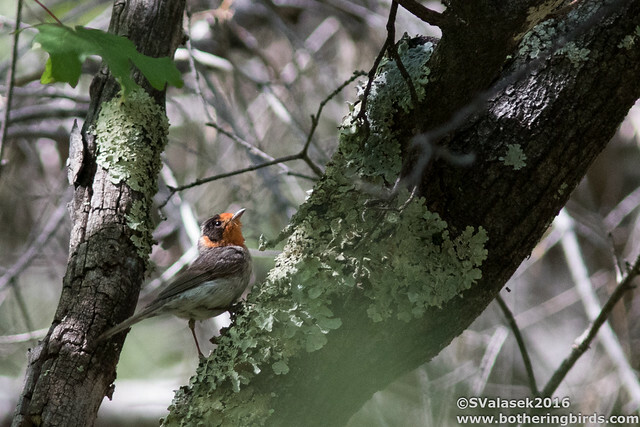 It was found by a birder camping with his family who thought that he heard an odd note. A few days later he returned with some expert birding friends and they all agreed that it was in fact a Pine Flycatcher, which would be the first USA record for that species. It continued long enough to me to catch a ride up a very torturous road to the location deep in the mountains. 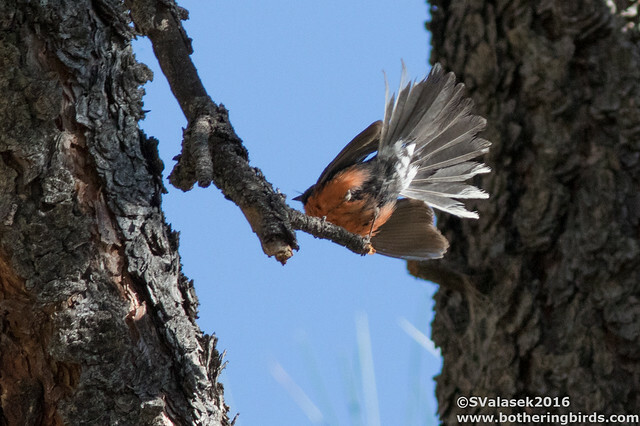 The same weekend that I was down seeing the Tufted Flycatcher (and dipping on Spotted Owls) I headed East to the Chiricahuas to see a Slate-Throated Redstart. Not an extremely rare bird, but uncommon none-the-less. I staked out it's nest-site at dawn and managed some good looks, but some lousy photos. It moved around like a warbler would. I knew that this would get too long. So I'm going to fire through the last few notable birds of the year. Back in September a hurricane brought a load of seabirds to the southern half of Arizona. Tucson and places south got the most variety and most amazing birds, many American first birds. But the Phoenix area wasn't completely forgotten. 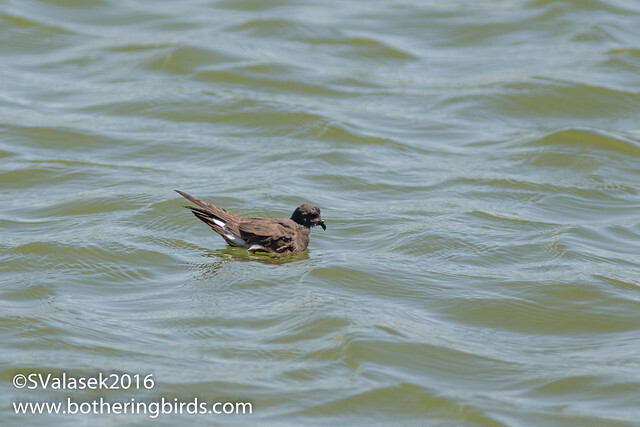 A Wedge-Rumped Storm Petrel was located at a suburban park in Mesa. My son and I raced up after he was out of school and we were given great views of the birds preening and flying around the park. 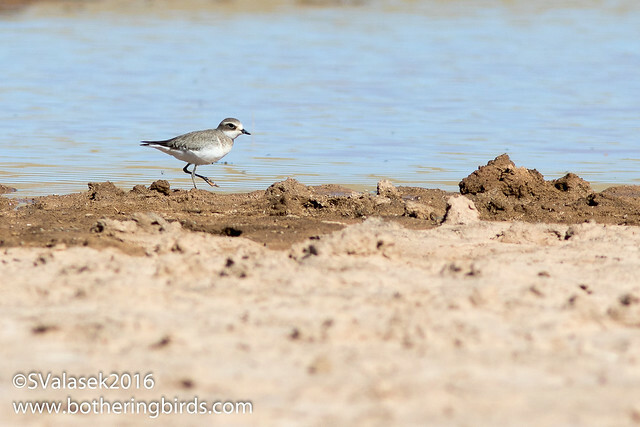 My 400th ABA tick happened to be a nice visitor to Arizona, a Lesser Sand-Plover appeared at a muddy pond on the Navajo Nation near Flagstaff. We happened to be driving by while on a family trip. 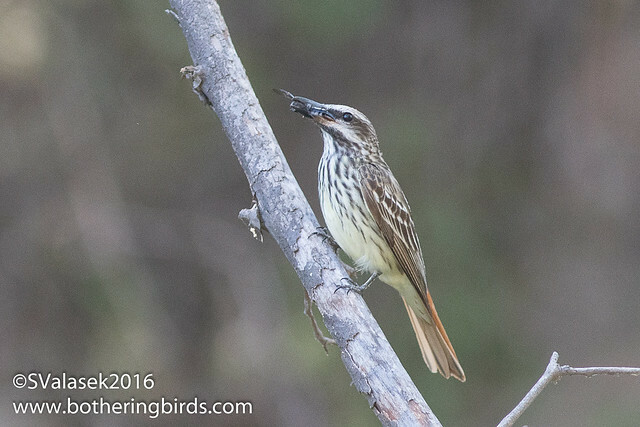 Another rare bird that I got to twitch appeared at my local patch, Veterans Oasis Park in nearby Chandler. 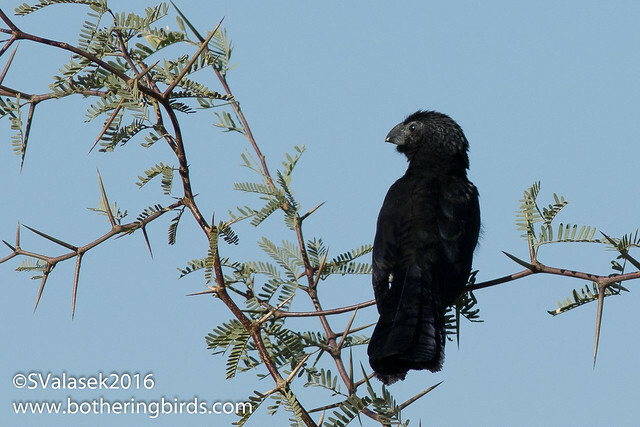 A Groove-Billed Ani was observed there off and on the previous day and early the morning on the first day that I could go. It was nowhere to be seen when I showed up, but after nearly 2 hours of looking and pshing, it made a very brief appearance before flying off never to be seen again. Warblers made up a lot of the birds that I got to see this year. 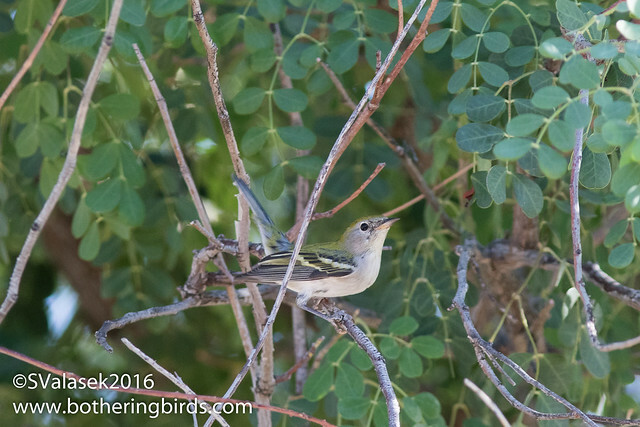 Some noteable ones were a Chestnut-Sided Warbler and a Blackpoll Warbler both seen in different parts of Chandler during migration. An Arizona specialty is the Red-Faced Warbler. It's not uncommon in the mountains and a really great bird to see. I got some great looks up in Ramsey Canyon while I was looking for the Tufted Flycatcher. But the best looking, in my opinion, was a warbler that I just saw last week in Florida Canyon. 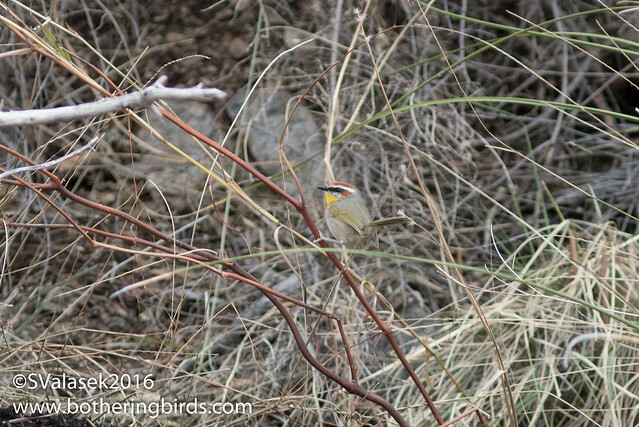 Rufous-Capped Warblers are supposed to be hard to find, but I saw 4 in the same area, and in a location where they were not supposed to be. But if I had to pick my favorite bird that I saw in 2016, and I saw 81 new species and nearly 300 species in all, it was another one that I saw just last week. 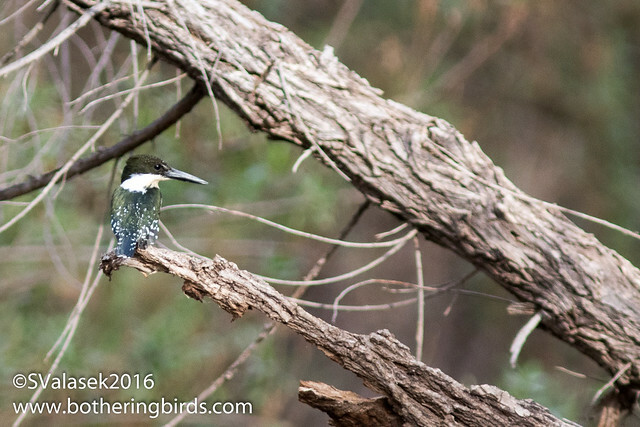 In my last blog post I talked about searching for a Green Kingfisher for hours in Patagonia Lake State Park. I was turned around to head back to my car and home without seeing it when I saw one flying up the creek. I managed to get soem ok photos and some really good looks until it flew off and out of sight. 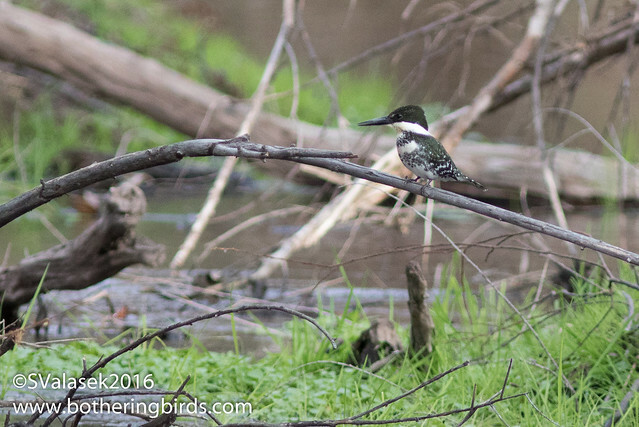 I really love kingfishers and would like to see more. There's a 4th species being seen in Texas, and maybe that's where I'll go this year for a trip. We'll see what 2017 has in store for me. My birding new years resolutions are to keep a yard/patch list and try a Maricopa County Big Year, but that will wait until tomorrow when the rain moves off. I also want to get a new pair of binoculars, if there's a pair that you like, let me know.